Lee Battersby has been on the Australian speculative fiction scene since 2001. Since then he’s racked up an impressive publication history, with over 40 stories in print, mostly in Australian magazines or small press anthologies. Through Soft Air is his first collected work and includes 25 stories, of which eight are either completely new or have not seen publication before. There’s no doubt that Battersby is an ambitious and prolific short story writer. However Battersby himself acknowledges that regular short story sales are not enough to sustain a writing career  and that financial security probably hinges in publication of longer works (i.e. novels). From that perspective, the publication of Through Soft Air can be seen as a first attempt toward garnering recognition outside the Australian scene. 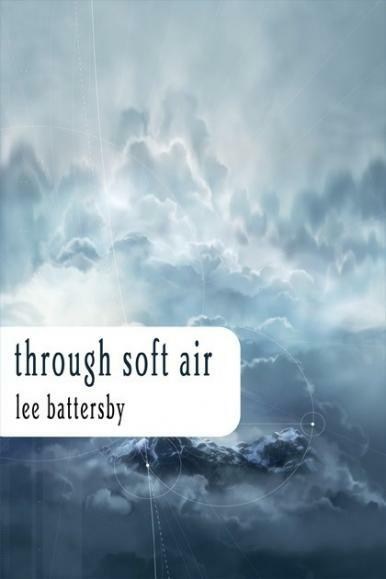 Through Soft Air has been published by Prime Books, a US small press publisher, and this should provide exposure in markets outside Australia that would have otherwise been unavailable. The downside of this ‘international’ publication, however, is that the book has limited sale outlets within Australia itself and so Battersby’s established fan base may find themselves having to order the book from the US in order to obtain a copy. From my own point of view, reviewing Through Soft Air has been a good opportunity to find out what all the fuss is about. I came to the book having read less than a handful of Battersby’s stories – two of which are in this collection. I read and reviewed Through Soft Air from a .pdf copy, and so am unable to comment on the physical book itself. This is a pity, because I get much more pleasure reading from a book than a computer screen (although I don’t think this has affected my opinion of the collection). I would also liked to have seen the book ‘in the flesh’ to get a proper look at the cover by Gary Nurrish. From the images on the Prime website, the artwork looks stunning. When I view the collection as a whole, two things are apparent to me. Firstly, Battersby thinks up some great titles (although a great title can lead to extra disappointment if the story then doesn’t live up to expectations). The second thing that becomes apparent is that there’s no such thing as the ‘Battersby style’ (unless you argue that his style is that he doesn’t have one!). In the afterword to the first story in the collection, “Father Muerte and the Flesh”, Battersby describes himself as a ‘bit of a magpie’, using information as he finds it and working on several projects at any one time. This tendency is obvious in the variety of topics and facts that Battersby has managed to cram into the collection. Battersby is also keen to avoid pigeonholing into a particular genre , and I’m sure this goes a way in explaining why he has included (as he describes) his ‘vampire’ story (“Jacara’s Kiss”), his ‘alien’ story (“Vortle”), his ‘fantasy’ story (“Through the Window Merillee Dances”) and so on. Despite the fact that Battersby explores a variety of different scenarios, in many ways the form of his stories is repetitive. Battersby favours a first person (male) point of view (POV), which I guess is understandable. However, often the protagonist/narrator has no inherent identifying characteristics, other than the situation he find himself in. They react to that situation but have no individual personality otherwise. I think this impression is exacerbated when reading the whole collection and I found myself feeling that the same anonymous male character (perhaps representing Battersby himself) was being repeatedly used, just placed in slightly different situations with each story. This does not necessarily mean the stories are of poor quality, however. I enjoyed “The Divergence Tree” as it investigates one of my favourite topics from first year physics – the possibility that each event and each decision creates multiple universes filled with each possibility. David is understandably surprised when his doppelganger appears out of nowhere at the Royal Show. As more doppelgangers arrive, David learns that they each represent a point where he has died in another universe. David is driven to despair but can he consider suicide, if it means haunting another David in another universe? In this case the strength of the theme carries weaknesses in the narration itself. “A Stone to Mark My Passing” suffers from the ‘anonymous narrator’ to a greater extent and, consequently, this tale of a man in a stonemason’s yard failed to engage me. “His Calliope” is yet another example where the subject does not overcome the narration. Edward visits his Oxford roommate Michael, now a famous composer. It becomes apparent that Michael’s inspiration is all derived from a muse – his Calliope. But now Calliope is dead, Michael is deranged and Edward is horrified. Edward’s decision to then help Michael clean up his mess lacks proper (any!) justification and the horror induced by the final few lines is not enough reward. Battersby admits he is an instinctual writer and so it’s difficult to tell whether it is deliberate or just serendipitous when he does write first person POV with ‘personality’. “Goodfellow” is one example where the narrator does have a distinct persona (largely through the language used and the fact that – for the most part – the narrator is controlling his environment rather than simply reacting to it) and it results in a much more individual story. Merry Andrew, a bawdy trickster, wreaks havoc and mayhem on unwitting humans, before he is forced to reveal his true self and begins to see the advantages of good behaviour. Based on the story of Punch, it marks a rather light-hearted tale compared to many others in the collection, if marred by the fact that Punchinello (the inspiration for the story) is incorrectly spelt in the afterword. With “Mikal”, Battersby admits that the story is completely instinctual and we are rewarded one of the best in the collection. Mikal wants to be different. This is a problem. All other detail is almost inconsequential, with the highlight of the story for me being the realisation that the (apparently) unemotional and matter-of-fact narration is covering so much fear, pain and frustration. Who knew that a short sentence structure could convey so much?!? When Battersby does (deliberately) experiment with form the results are largely successful. In “Carrying the God” we alternate between the present and a bleak, apocalyptic future. In the present, Doctor Robards is perfecting a technique where humans can be preserved indefinitely – cryogenics without the ice. In the future, a primitive tribe try to give their life purpose by following whoever has been chosen to carry the tribe’s God. While the stories appear initially unconnected, inevitably they are and they converge nicely. Neither story would have been as effective on its own. “Brillig” is another story that mixes past and present and is probably the most experimental of the collection. In the present, Brillig is being tortured to give up information on the whereabouts of his creator, The Man. Through flashbacks to the past, we learn more about The Man and the new evolved species he has created, of which Brillig is part. Interspersed between past and present are snippets of old films and proverbs, which layer the story with additional meaning, not necessarily obvious until after you’ve finished. It’s an impressive feat and a good story but unfortunately is also most beset with frustrating spelling mistakes and typos. Certainly, misspelling the name of one of your heroes (Algis Budrys) in the afterword is not a good look! In many cases Battersby’s writing is intensely personal – no more so than in “Dark Ages”, inspired by the death of his first wife a few days after the birth of their daughter. Again written in first person POV, this is an obvious candidate to fall prey to the curse of the ‘anonymous narrator’. However it is saved from ‘sameness’ and becomes a highlight in the collection by a structure that is, overall, very reminiscent to that of “Brillig”. In the present, Declan is coming to terms (in his own particular way) with his wife Emma’s death and the responsibility of looking after his small daughter Sara. Snippets of the past tell us of his pain, and it gradually becomes apparent that Emma is not his first lost love: “Never again. Never again!” Intertwined within the story are historical facts covering the history and dangers of childbirth that emphasize the frailty of human life. In the face of such frailty, how can Declan stand living? Other recurring themes are the two World Wars, which serve as a background for several stories. “His Calliope” is set in London during World War II, but this is largely irrelevant to the story itself. In “Silk”, war creeps up unexpectedly. Another highlight, “Silk” starts off quietly with David and Susan renovating their house in Perth. They find a pile of silk – a World War II barrage balloon – under the lounge room floor and things begin to change. Battersby manages to keep the build up very subtle so the story remains ‘quiet’, as David and Susan desperately pretend that everything is fine. The consequences of the changes do not fully hit the reader until the last few lines and are therefore all the more shocking. There’s a shock at the end of “Through Soft Air” as well, a World War I inspired story, but the build up here is more obvious, making the ‘shock’ in this case much less effective. Two of the more interesting inclusions in the collection are the two Father Muerte stories. Inspired from the initial tale of “Father Muerte and the Theft”, Battersby has written a further 3 stories in the series and “Father Muerte and the Rain” is included here with the original. Set in the small, slightly otherworldly tourist village of Costa Satanas, each story sees the good Father solve a mystery using his somewhat supernatural powers and knowledge. It’s a nice premise and lends itself to Battersby being then able to satiate his magpie tendencies within a cohesive longer work (either as a set of short Father Muerte stores, or as a novel as he is apparently now researching ). However, despite their promise, both fall flat for me and it’s difficult to assess on the strength of these two stories whether a longer work would really hang together or just become repetitive. Battersby refers to “Father Muerte and the Theft” as a “kitchen-sinker”, as it incorporates every idea he had in his head at the time. I believe him absolutely and, while the tale was fast paced, the number of diversions and red herrings Battersby includes takes valuable time away from the initial mystery and the denouement is rather abrupt. This kitchen sink mentality continues in “Father Muerte and the Rain” where the initial mystery becomes secondary to questions brought up about the past lives of key characters. In both stories references to Father Muerte’s past remain so obscure that it appears as if Battersby hasn’t yet decided those details himself. The inclusion of stories from the earlier part of Battersby’s writing career means that Through Soft Air acts as a retrospective of his career to date. However, I wonder whether Battersby really needs a retrospective at this stage. Many of the earlier publications leave the impression that they started off as writing exercises and ultimately weaken the overall quality of the collection. Stories like “Letters to Josie” and “Ecdysis” fall into this category. “Letters to Josie” suffers from a lack of subtlety. Geoffrey has joined the “Warlympics”, a series of staged battles where promotion depends on staying alive. The story is told through the letters he writes home to his wife but these largely consist of Warlympic infodumps, signposting of what’s going to happen next, and a change in Geoffrey’s character that is far too abrupt. It is the weakest story in the collection. “Ecdysis”, the result of three hours research of four quarter bits, is actually quite an engrossing detective story. However, the description of the setting is lazy. We are to believe that the story is set in a futuristic Los Angeles, but the only effort to make it so is to think up new names for things. Thus the humble PC becomes a “deskpilot”, while television is renamed “vidset”. Similarly in “Vortle”, the prevalence of ‘silly’ words fails to compensate for a poorly described alien planet. Here, a Swampland ranger/caretaker narrates the tale of the first human contact and an (alien) hermit called Vortle. Despite the fact that the narrator has multiple orifices and an unusual way of obtaining energy, it remains a voice only and not particularly alien (basically it’s curse of the ‘anonymous narrator’ again). Given that one of the major purposes of this book is to gain Battersby a wider recognition and an overseas audience, I wonder if he would have been better served by being more select about which stories made it into the final product. In terms of a showcase of his talents, it is flawed. Through Soft Air garners a DAMN Index of 52, which is not actually very high, indicating that approximately half the stories are worth reading. And, actually, I think this is a fair assessment. At his best, Battersby does produce original and thoughtful work; “Silk”, “Mikal”, “Dark Ages”, and “Brillig” all stand out in this respect. However, the instinctive nature of his writing technique must mean that there will be ‘misses’ and I think too many of these have been included. As a general rule, newer stories were of a better quality than his older work and hopefully this indicates that Battersby is still developing as a writer. However, I do think Battersby will need to become more deliberate, and perhaps more controlled and disciplined to aid this development, particularly if he plans to produce consistently sellable novels.